Farmers in the Moose Jaw area finally had several days of favorable harvest weather. The weather turned sunny and warm on Friday, August 27th which allowed the lentil harvest to resume with no weather delays for one full week. The weather forecast is not good as cool wet weather moves in for the long weekend. This will delay harvest and reduce the quality further. Unfortunately, the continuous rain this summer has damaged the crop quality. 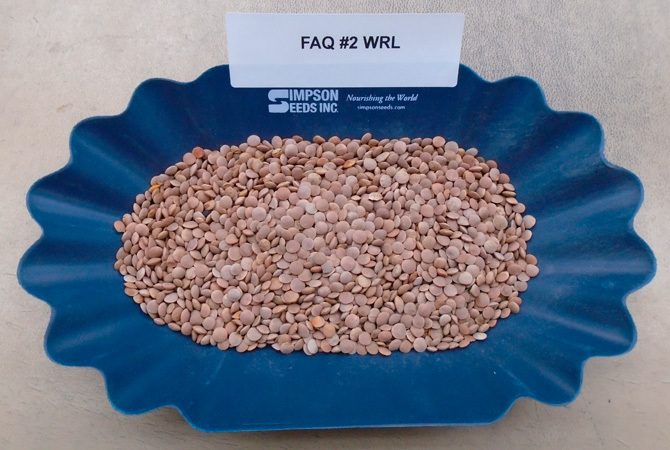 Samples of lentils from our farm and from other farmers in the area reveal that there will not be many lentils grading a No .1. 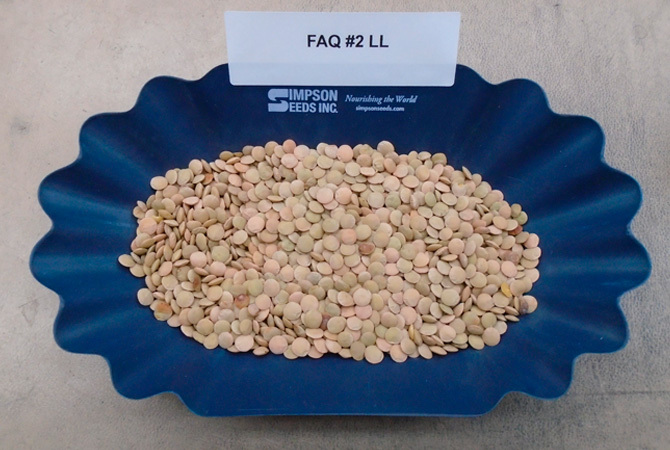 We think the FAQ (Fair Average Quality) for red lentils will be a poor No. 2 due to staining, disease damage, sprouting, wrinkled seed coats and bleached color. Red lentils with damaged seeds and with wrinkled seed coats will be marketable but our customers will not be happy as this will reduce the milling quality for making RSL or Red Split Lentils. Nearly 40% of the new crop has already been sold at a premium price and now that the market price has dropped, importers will be suffering major losses. Large Green or Laird type lentils have also suffered grade losses due to rain during the growing season cause significant disease damage. Rain did further damage to the quality in the late stages of development by reducing the color and wrinkling the seed coats. The lentils trade will need to make adjustments in order to market this poorer quality crop. For example, premium quality packagers will either pay a significant premium for the few No. 1 Lairds harvested or shift to purchasing a No. 2. Yields for lentils have been widely varied. Excessing flooding and hail damage reduced harvested acres from 5.8 million to 4.6 million acres. The combined reduction in harvested acres and reduced yields resulted in an estimated 700,000 MT loss in production from 3.8 million tonnes to 3.1 million tonnes. 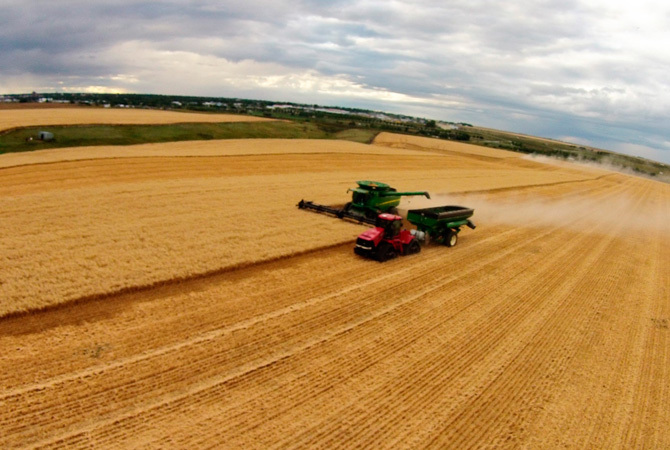 The durum field depicted in the drone photo above yielded close to 70 bushels per acre. Most of the durum crops will likely average 50 to 60 bushels per acres. Quality has been effected by fusarium. Unfortunately, many durum growers will be facing discounts as the fusarium will reduce the grade to a No.3 and potentially down to a No. 5. Fusarium infected seeds cause seeds to produce a high percentage of flour, thereby reducing the amount of pasta made from milling durum wheat.